This could be useful. I've encountered complications while printing files with paths left in Path Palate. Reopening the file and manually removing the Paths took time. This simple feature would be an elegant solution. 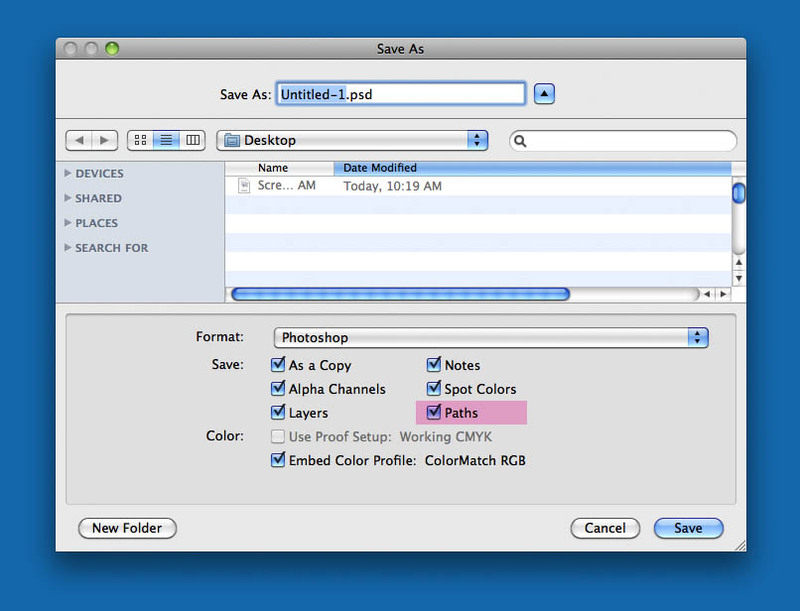 I love how Photoshop's "Save As" window allows me to disclude alpha channels, layers, notes and spot colors. I use paths all the time, and when I send my final images to my clients I like to clean up all the stray paths that they don't need to see. I end up doing that by hand, which can take some time. Could you add a line or two to the "Save As" window to include a checkbox to "Preserve Paths," or "Keep only Clipping Path"? Alternatively, "Remove All Paths" and a secondary "Except clipping path." It would be very helpful.